Brands and colour to be removed from cigarette boxes, but the tobacco industry says it will fight ‘tooth and nail’. TOBACCO COMPANIES IN Australia are to be forced to strip all logos from their cigarette packs and replace them with graphic images. The Australian government says the move will make Australia the world’s toughest country on tobacco advertising. Instead of colourful embossed boxes, cigarette packs will now be a dull olive green, and the brand names will be printed in a small, uniform font. Images of cancer-riddled mouths and sick children will also appear. Australia’s Telegraph newspaper reports that tobacco companies are prepared to fight “tooth and nail” against the proposed legislation. The changes are due to come into effect on 1 January 2012. 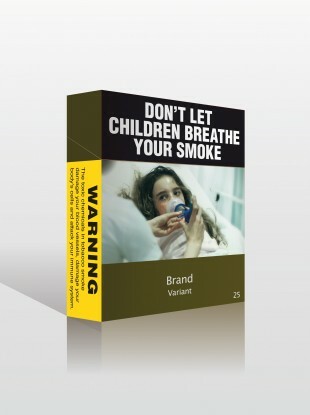 British American Tobacco Australia, the country’s biggest cigarette company, has said that removing the branding from a cigarette packet is like “asking Mc Donald’s to remove its golden arches”. We’re delighted that Australia are leading the way, and we want to see similar political leadership here. When one country takes the lead on this the others will follow, and it is on its way here. O’Meara says that plain packaging is a powerful marketing tool, and that a lot of research into “dissuasive marketing” has been carried out. She also feels that cigarette advertising is targeted at young people and has expressed disdain at “a number of companies marketing cigarettes particularly to young women, giving them names like Vogue and using pastel colours. It’s almost like a cosmetic addition to your handbag”. Email “Australia to take 'every last bit of glamour' out of smoking ”. Feedback on “Australia to take 'every last bit of glamour' out of smoking ”.